Michael Miller is a master teacher who has been teaching drama residencies for the last 13 years to students from pre-school through college. 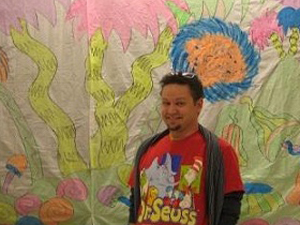 Michael has been an arts educator for Omaha Theater Company, Omaha Children's Museum, Mercer University, Georgia's Governors Honors Program, and Macon College (GA). Michael also works as an actor, playwright, dramaturge, director and set designer. He holds a BA from Yale University and a Master of Public Administration degree in Nonprofit Management from UNO. His activities include creative drama for elementary schools, play creation (through improvisation) for middle school and high school, and theater design for students of all ages and experience levels.